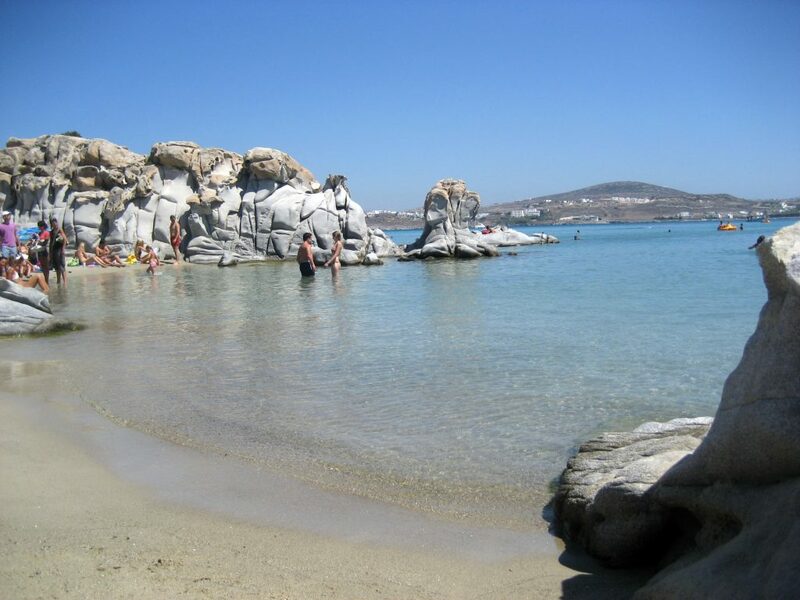 Paros has some of the most beautiful and popular beaches on the Greek islands. The beaches of Paros are characterized by crystal clear water and a relaxing atmosphere, attracting many visitors every summer. Some beaches in Paros are organized and lined with seaside hotels, restaurants and beach bars, while others are totally isolated. The beaches of Paros on the east side, especially Golden Beach and Nea Chrissi Akti, offer nice spots for windsurfing and kite surfing. 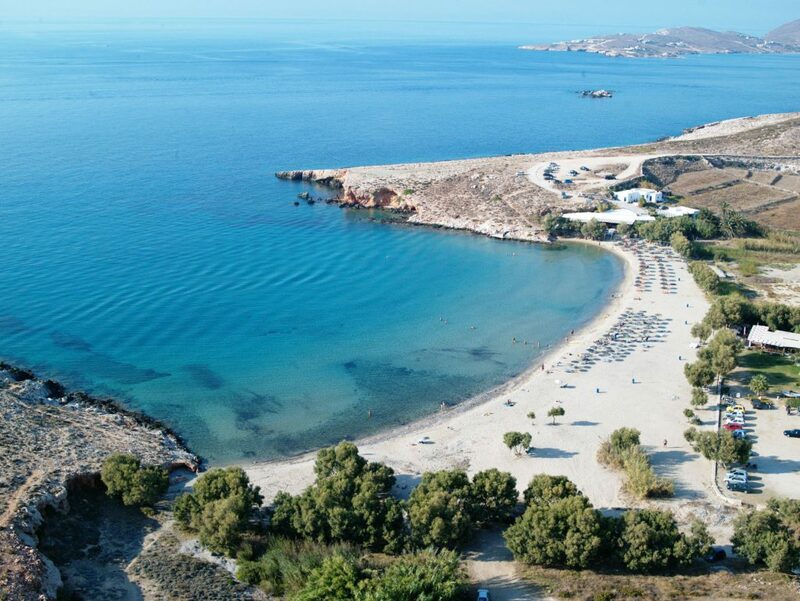 Kolimbithres Paros: Kolimbithres beach is one of the most famous beaches of Paros and is located in the huge bay of Naoussa. Small sandy coves are one after another, forming the beach of Kolimbithres (the name of which means swimming pools). Sun loungers and umbrellas can be hired on some of the beaches and some water sports facilities are still available. Few beach bars and taverns are along the road leading to the beach. From the asphalted road (by local bus or private transport) or from small fishing boats (caiques) departing regularly from the port of Naoussa, you can reach Kolimbithres. Parasporos Paros: Parasporos is located south of Parikia, the capital of Paros, next to a camping site, so it is often very crowded. It is a long beach with emerald waters and golden sand. Two beach bars are available on the beach and organize some parties during the summer. Parasporos beach is accessible by local bus that stops by the beach or by private car for a good asphalt road leading to it. 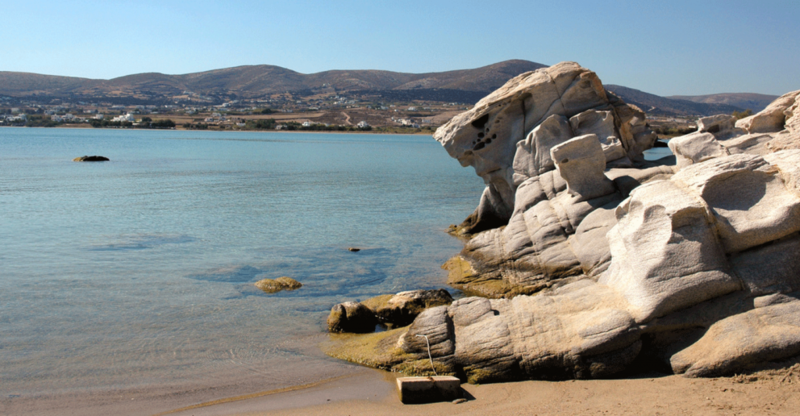 Kalogeras Paros: This small beach is surrounded by a lush hilly environment. The coast is partly sandy and partially pebble, but the water is always crystal. It is within walking distance of Molos, on the eastern side of the island and north of the popular resort of Logaras. This coast is not organized and receives few visitors every summer. 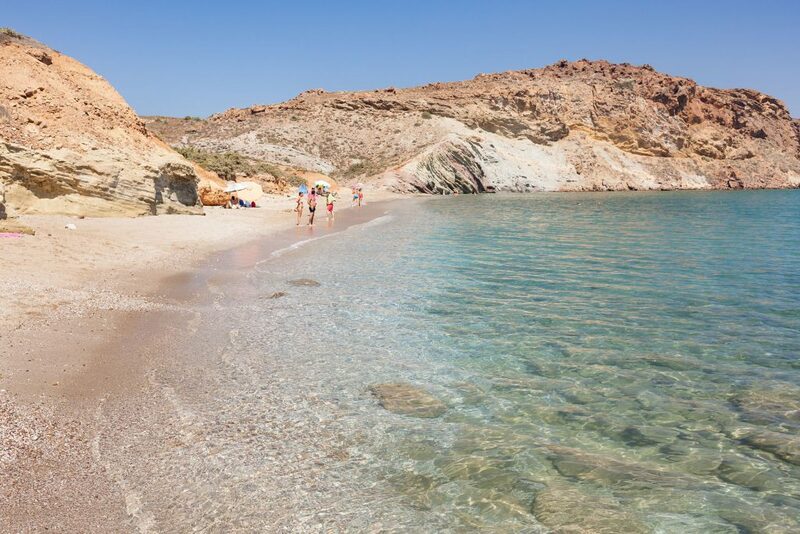 Voutakos Paros: Geographically located between Aliki and the port of Pounta, on the southwest side of Paros, Voutakos is a small secluded beach that does not frequent at all. 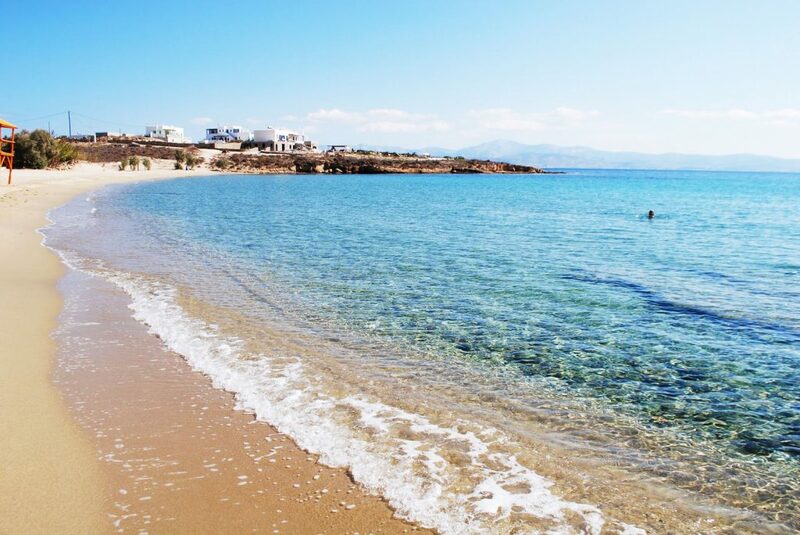 The sandy beach of Voutakos arrives by car up to a point and then visitors make a small paved path to the beach. It does not take 10 minutes to reach the beach.